Some people share similar characteristics with others of the same background, or from the same families, or are even twins. 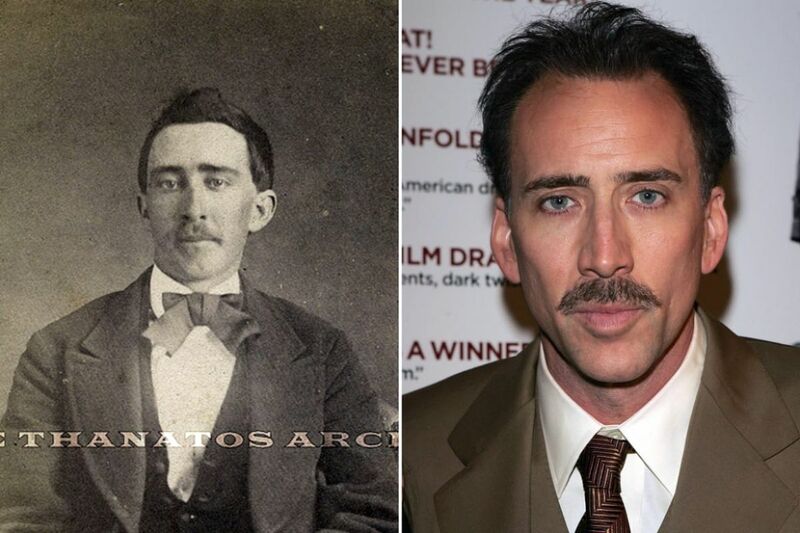 However, there are also some bizarre cases of people who lived in completely different eras who look very alike. On social media there are innumerable pictures posted of ordinary people who look just like celebrities. Though there were 78 offers—the asking price was $1 million—all were rejected, and as of Sept. 22, the photograph was removed from the site. It is unknown whether Mord found a buyer or whether, perhaps, Cage forked out a million dollars himself to hide his secret. 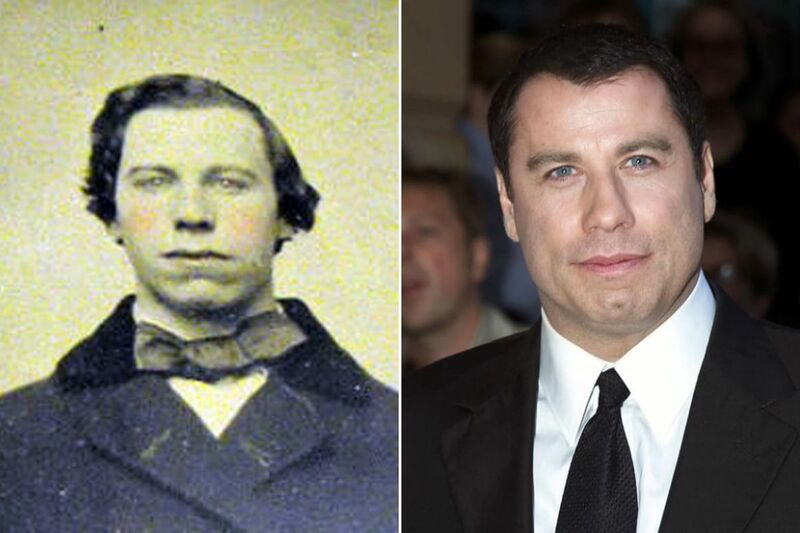 A week after the Nicolas Cage photo was removed from eBay, another seller from St. Thomas, Ontario offered a 19th-century ambrotype photograph of a man who looked eerily like John Travolta, proving that he was a “time traveler.” The woman, who identified herself as “Fawn” (and is friends with Jack Mord, the seller of the Cage “vampire” photo), insists the image is real—even if the asking price, $50,000, was a joke. 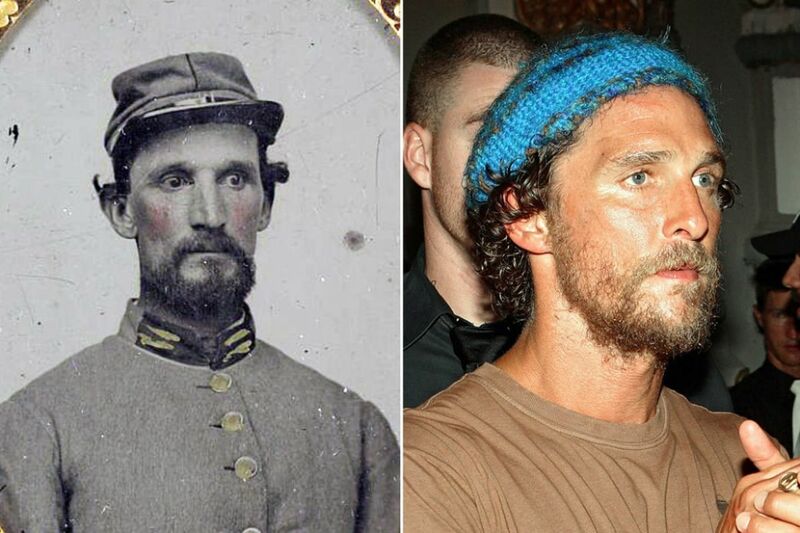 Matthew McConaughey’s credo—and the name of his foundation—is “Just Keep Livin’.” The phrase comes from a line his character delivered in Dazed and Confused, but could it also explain why McConaughey appears in a Civil War–era photograph? 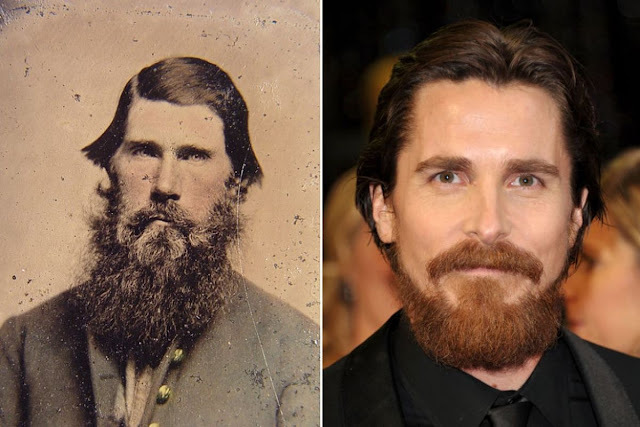 In 2005, Christian Bale starred in Batman Begins, but based on this portrait of a Civil War soldier, Batman Forever seems more appropriate. 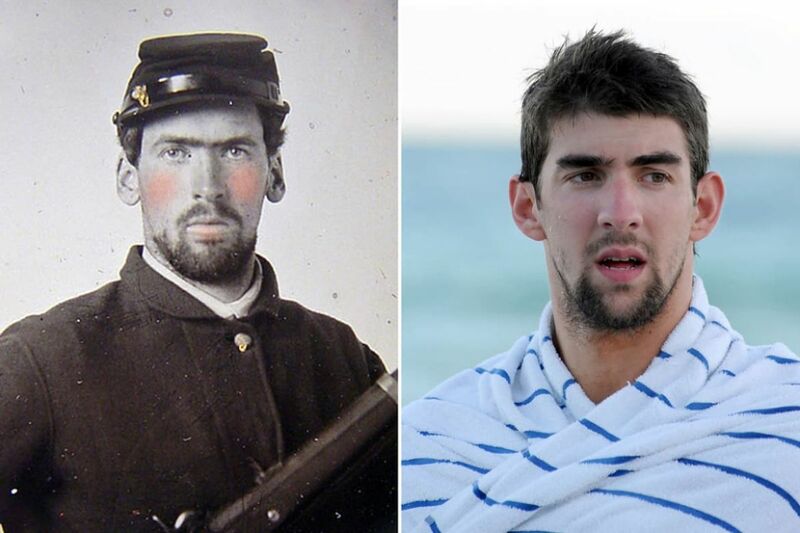 Sure, Michael Phelps has won 16 medals in his Olympic career—but how many did he win for his service in the Union Army? 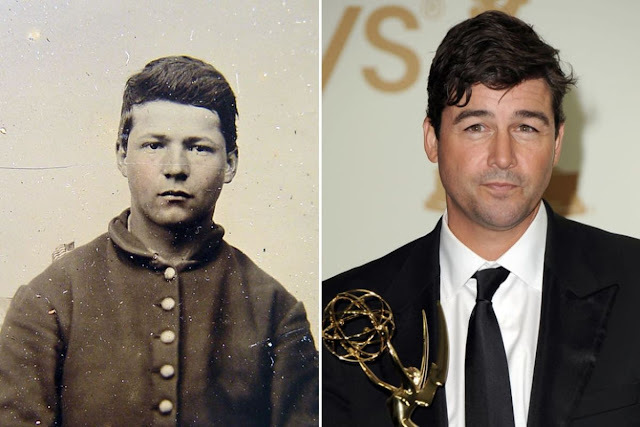 In his Emmy Award-winning role as Coach Eric Taylor on Friday Night Lights, Kyle Chandler taught his players, “Clear eyes, full hearts, can’t lose.” Did that also go for the Union? 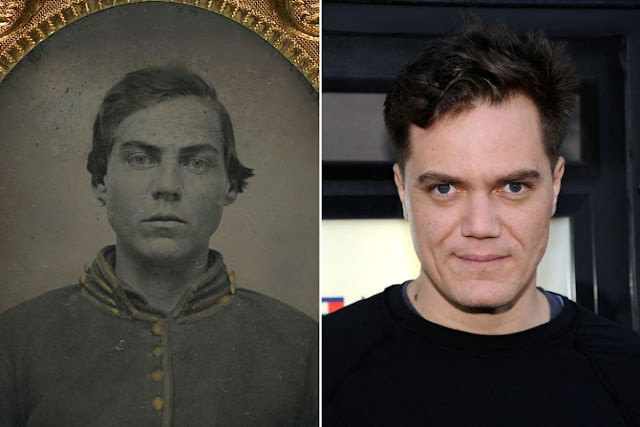 On Boardwalk Empire, Michael Shannon’s character is wound way too tight. In the film Take Shelter, he’s haunted by apocalyptic visions. Or perhaps he’s just seen too much, having been alive 150 years. 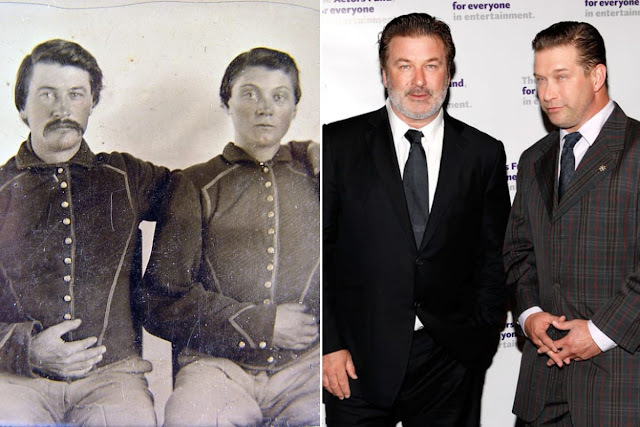 The Civil War famously pitted brother against brother—but not Alec and Stephen Baldwin. 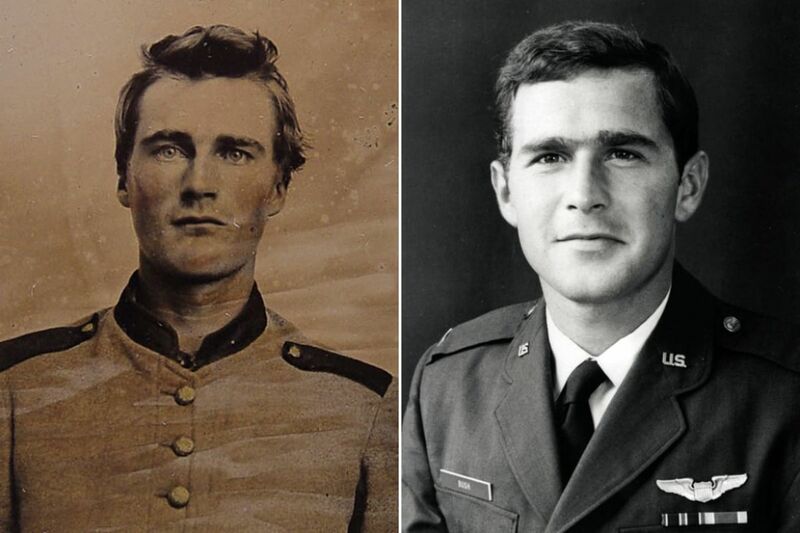 When George W. Bush ran for president in 2000, opponents questioned whether his time with the Texas Air National Guard during the Vietnam War had fulfilled the military-service requirement. He could have easily silenced his critics by talking about his time as a Confederate soldier during the Civil War. 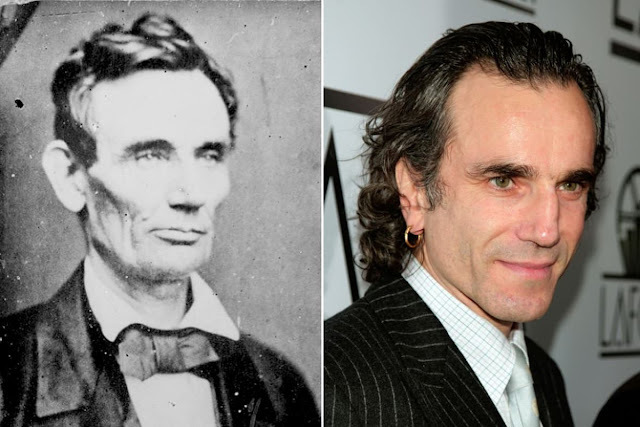 Was Oscar-winning actor Daniel Day-Lewis actually born 10 score and two years ago—on Feb. 12? One thing is certain, he will soon be portraying the 16th president in Lincoln, a Steven Spielberg–directed biopic based on Doris Kearns Goodwin’s Team of Rivals. Coincidence?